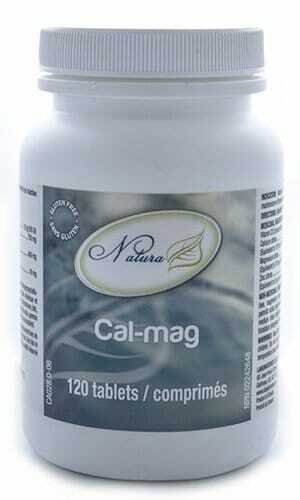 Cal-Mag is recommended to adults with a lack of calcium and magnesium in their diet. It contains calcium, magnesium and vitamin D help for the maintenance of good health. Vitamin D that is provided in this formula helps in the absorption and use of calcium. Calcium intake, when combined with sufficient vitamin D, a healthy diet and regular exercise, may reduce the risk of developing osteoporosis. Clinical Pearls: “Natura Cal-Mag has been a patient favourite for many years now…why?…because it works! It breaks down and absorbs quite well for the price. A great buy!” David Sloan, PhD, NNCP, RNT, Clinic Director – Sloan Natural Health Center.